Dr. Ansel Johnson has been featured numerous times in Black Enterprise Magazine’s list of top Black Doctors in the United States. Once, he was the only optometrist (eye doctor) in this elite group. 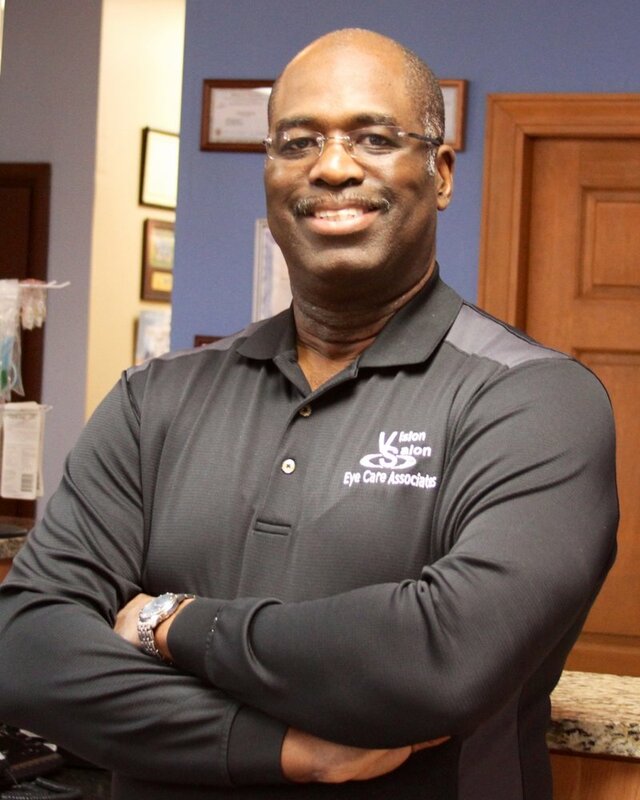 Dr. Johnson has practiced for 27 years in the historic Blue Island community and has the 2nd oldest African-American eye care practice in the Chicagoland area. -An eye exam may not already be on the list of back to school to-do’s, but it needs to be. One in four children has vision problems, but only half of parents with children under the age of 12 have taken their children to an eye care professional. What’s the use of buying your child new clothes, sharp kicks, and bright school supplies, if he/she can’t see any of it? Eye exams ensure that children are seeing and feeling their best. Diagnosing and correcting a vision problem can drastically improve your child’s academic and extra-curriculum performance. -Children need a full eye exam every year, which is different from the vision screening they receive in school. The screening students receive in school usually only tests for vision acuity. A full comprehensive exam also tests for diseases, color differential, and making sure the eyes are working together properly. Things like a lazy eye or farsightedness are often missed during school screenings. Childrens’ bodies are rapidly growing and changing which includes their eyes. Dr. Johnson begins treating patients as young as 2-years old and recommends that children come for a full eye exam once a year. -The increasing use of technology at home and at school is taking a toll on the eye health and vision of your children. Children are using digital devices for much longer periods of time than ever before. Staring a digital screen decreases how often your child blinks which is why incidents of dry eye are up considerably. Seasonal allergies can further decrease the amount of tears your child’s eyes produce. Also, the blue wave lengths of light that are omitted from digital devices can disrupt natural sleep cycles. Dr. Johnson recommends parents use preservative free artificial tears and allergy drops to correct dry eye, consider treated blue-tech or transitions lens to decrease blue light exposure, make sure your children are taking breaks when using devices, and turn off all devices at least two hours before bed time. -Tell your eye doctor if your child is a student athlete. Regular street glasses are not impact resistant. Dr. Johnson recommends impact resistant lens or daily disposable contact lenses for student athletes. These two alternatives are more durable and offer more protection. Also, concussions can happen at any time and visual changes are a common result from a brain injury. Its critical to have a comprehensive eye exam test performed BEFORE your child has an accident. The data collected from this eye exam provides an important vision base line, which can be used in the diagnosis and treatment of a concussion. As we learn more about the importance of protecting our student athletes from brain injuries, Dr. Johnson strongly encourages all student athletes to get this pre test. Dr. Ansel T. Johnson is an optometrist and clinical director at Vision Salon Eye Care Associates. He provides high quality, high-tech comprehensive vision and medical eye care services for children, adults and seniors in a state-of-the-art facility in Blue Island, Illinois. Make an appointment today at www.visionsalon.com or call 708-385-0013.